Joining signature UGG® styles with Pendleton’s world famous wool, this limited edition collection invites you to experience the heritage of two iconic brands. UGG® has partnered with Pendleton to create a special collection that reflects a mutual commitment to quality and the rich heritage of each brand. In this limited edition boot, signature Twinface sheepskin meets famed Pendleton wool featuring a custom pattern inspired by the beaches and mountains of Southern California, where UGG® was founded. A plush wool insole and a lightweight, flexible outsole equip this enduring design with unmatched comfort. 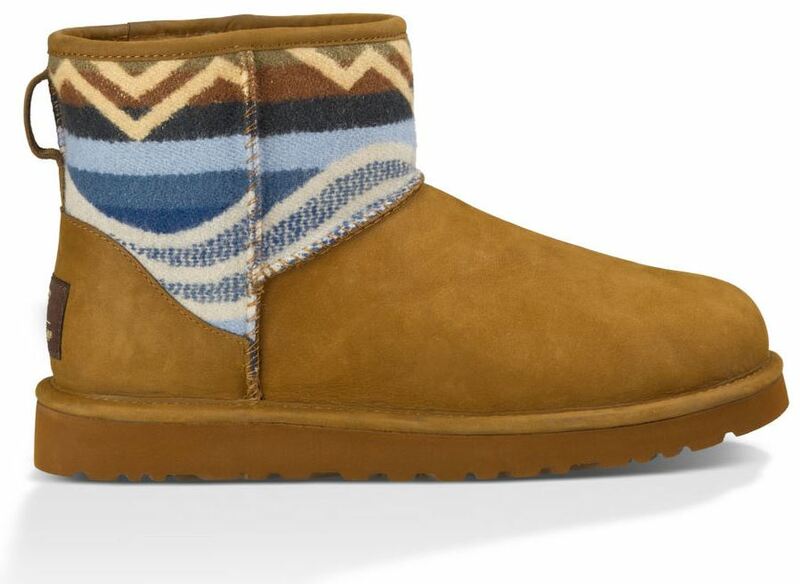 Learn more about the UGG Pendleton collection at the UGG Australia website. Learn moer about Pendleton Woolen Mills. You can also learn more about wool fiber and fabrics here on Apparel Search.